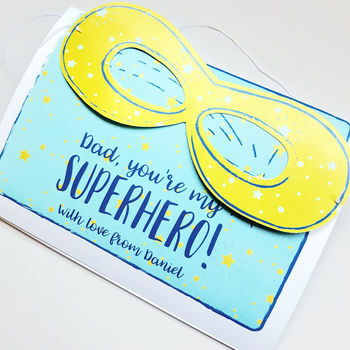 A very special Father's day card for all those Superhero dads out there. 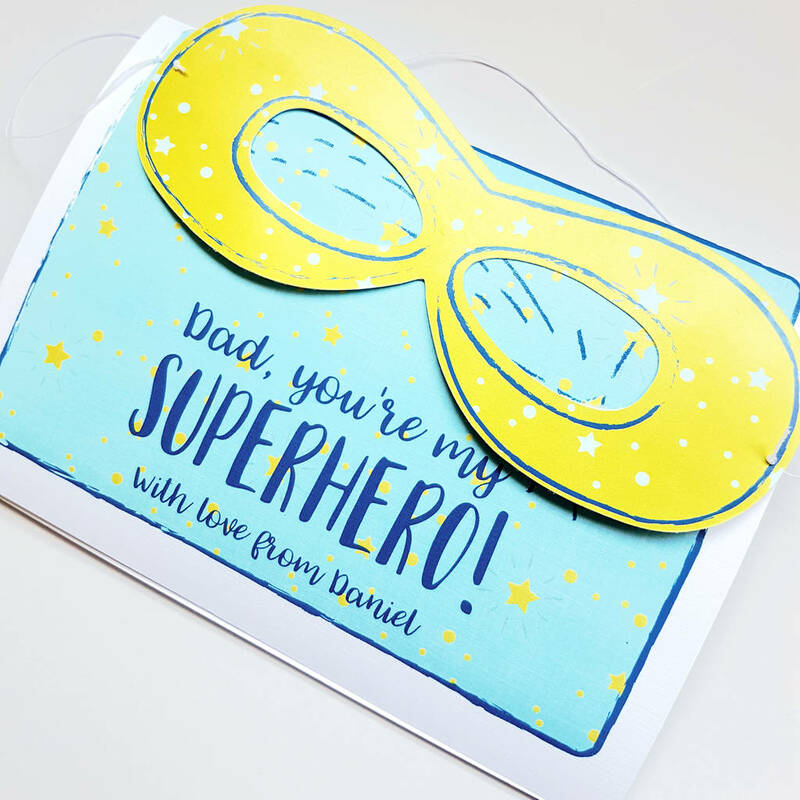 This very special Father's Day card is personalised with your child's name and includes a superhero paper mask - to show your dad, grandad or any significant adult in your child's life, just how much they mean to you. The card can me modified for mums, too - just send me a quick message! Mask is attached with easily removable glue dots. The superhero mask is made of card and elastic string.